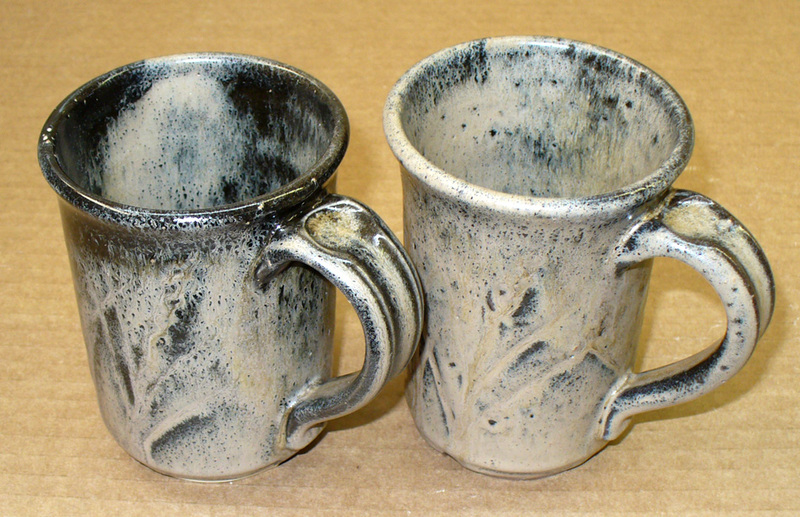 Variegated, or mottled, glazes are those that do not have a homogeneous solid color or character (i.e. like a ceramic sink or toilet bowl). They are often called 'reactive glazes'. They contain higher percentages of fluxes and additions intended to produce one or more variegation mechanisms. 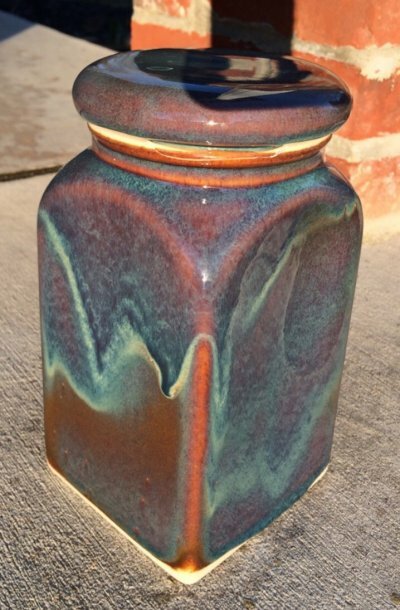 Variations in color and texture are highly prized by many ceramists. A variety of mechanisms are used to create the variegation. These include crystal growth, addition of speckling agents, phase separation, layering, and opacity variations (occurring with thickness variations) and multilayering. 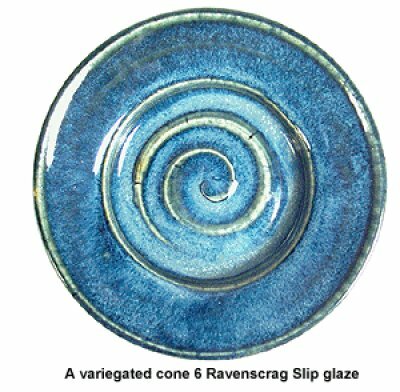 Rutile blue glazes are difficult, blistering and pinholing are very common. You must get it right on the first firing or pinholes and blisters will often invade on the second. The melt fluidity increases, it runs and creates thicker sections in which the bubbles just percolate and just do not heal well during cooling (even if it is slow). When finishing leather hard or dried ware do not disturb thrown surfaces any more than necessary. 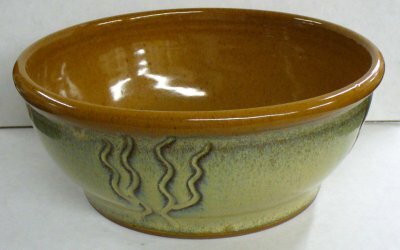 Make sure that ware is dry before the glaze firing. Do not put the glaze on too thick. Limit the melt fluidity (so it does not pool too thickly in any section). Do not fire too high. 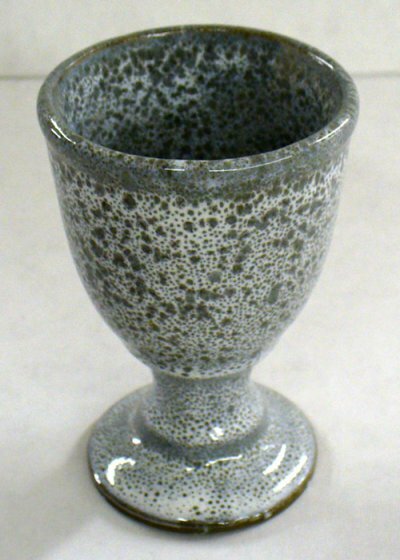 This high boron cone 04 glaze is generating calcium-borate crystals during cool down (called boron-blue). 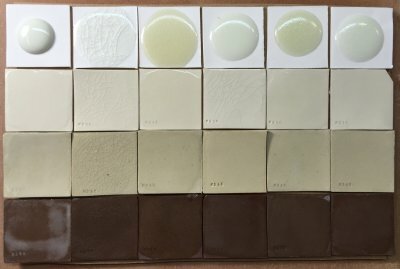 This is a common problem and a reason to control the boron levels in transparent glazes; use just enough to melt it well. If a more melt fluidity is needed, decrease the percentage of CaO. For opaque glazes, this effect can actually enable the use of less opacifier. This is an example of crystallization in a high MgO matte. 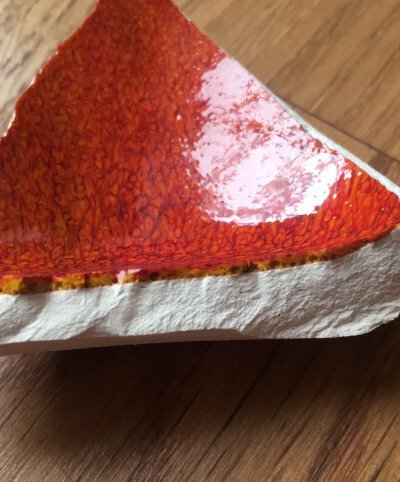 MgO normally stiffens the glaze melt forming non-crystal mattes but at cone 10R many cool things happen with metal oxides, even at low percentages. Dolomite and talc are the key MgO sources. 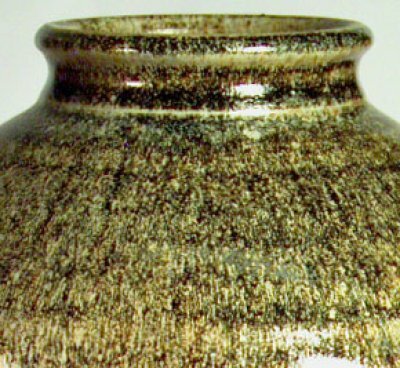 The clay is Plainsman M340. Unlike Alberta Slip floating blue, this version does contain a little cobalt to help guarantee the blue color. 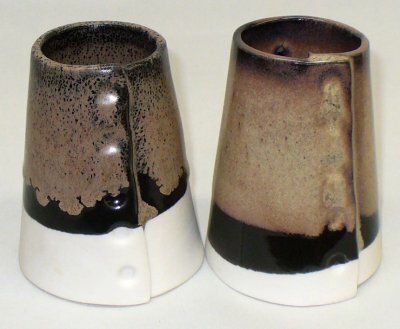 Example of the variegation produced by layering a white glaze of stiffer melt (a matte) over a darker glaze of more fluid melt (a glossy). This was fired at cone 6. 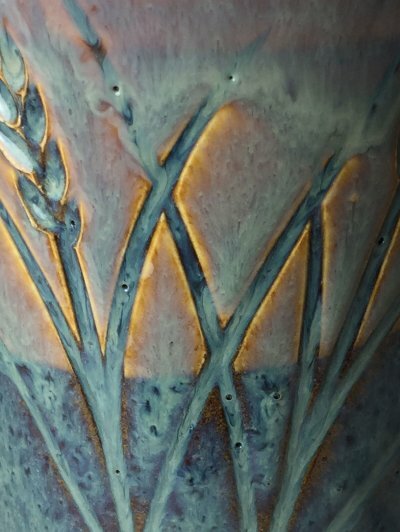 The body is a stoneware and the glazes employ calcium carbonate to encourage bubbling during melting, each bubble reveals the color and texture of the underlying glaze layer. 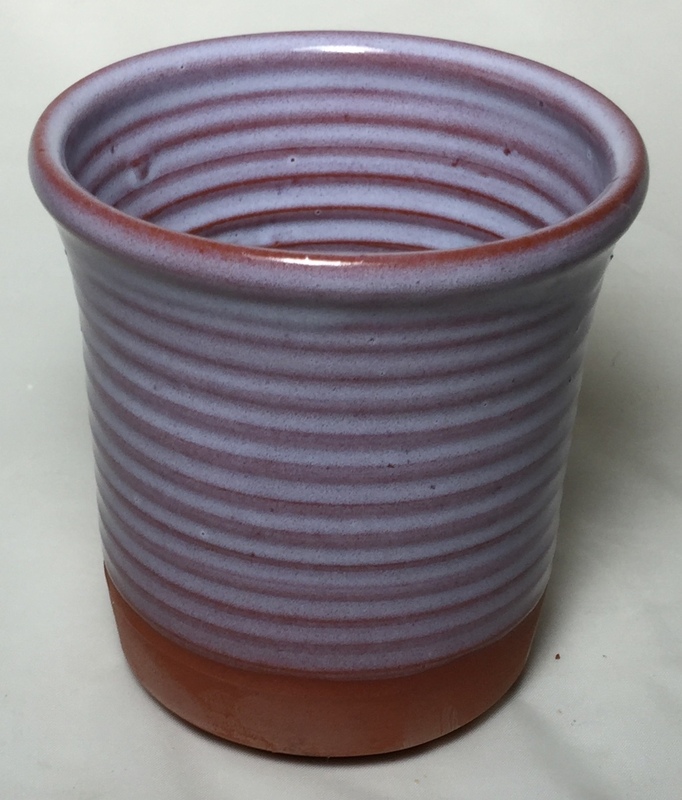 It is also possible to get this effect using the same base glaze (stained different colors). 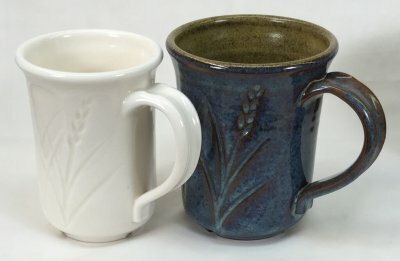 Why does this glaze variegate like this? This is a cone 10R copper red. First, it is thick. "Thick" brings it own issues (like running, blisters, crazing). But look what is under the surface. Bubbles. They are coming out of that body (it is not vitreous, still maturing and generating them in the process). The bubbles are bringing patches of the yellow glass below into the red above. 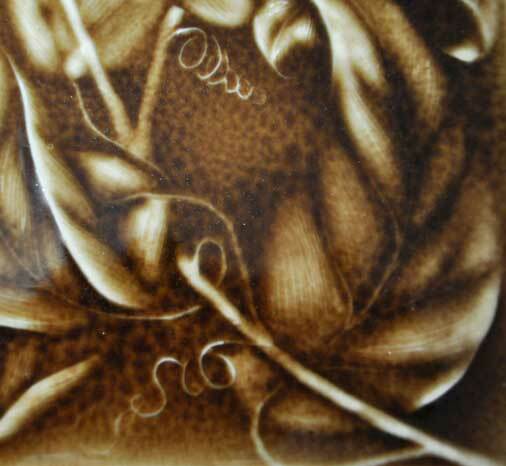 Normally bubbles are a problem, but in this decorative glaze, as long as everything goes well, they are a friend.